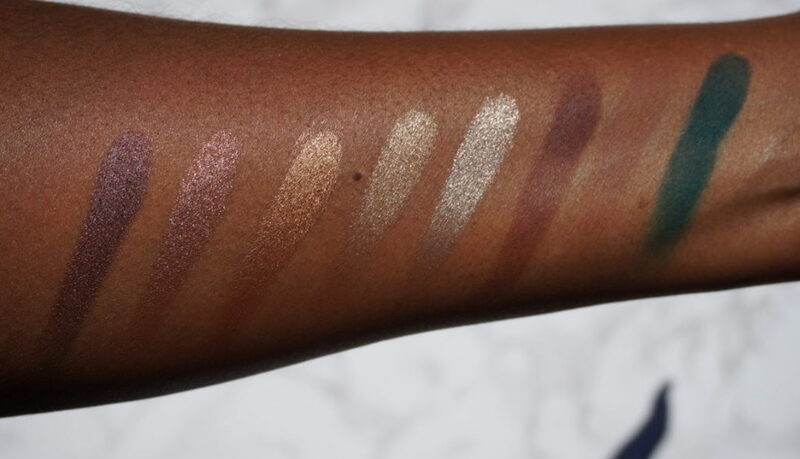 All of the shadows that I’ve tried are smooth, creamy, blendable and pigmented. The “crystals” are super pigmented and almost give a soft glittery effect on the eyes. I love using these for a pop of shine on the eyes for a night out. The mattes are just as good as the crystals. “Empower” might not look like much on my arm because it’s so close to my skin tone but that’s what I love about it. It’s my go to transition shade for blending out my dramatic eye looks.